I never made it to Versailles. It was one of those days that unfolded itself and led me through the labyrinth of surprises. First off, I just couldn’t get moving to save my life. So instead of pushing, I let go. Versailles is one of those places that requires a full day, not a half day. It’s huge, beautiful and grand, you don’t want to rush it. I decided to walk until I found a metro station. 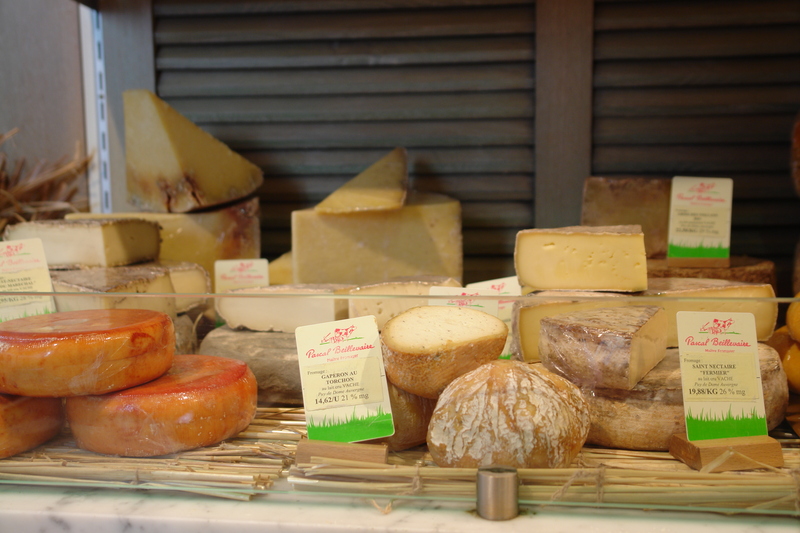 On my way, I passed the cheese shop, then the charcuterie…by this time my mouth was watering. All those beautiful meats, pâtés and cheeses. And weren’t we talking the other night about how we hadn’t had any of those yet? Well, that was going to change tonight! 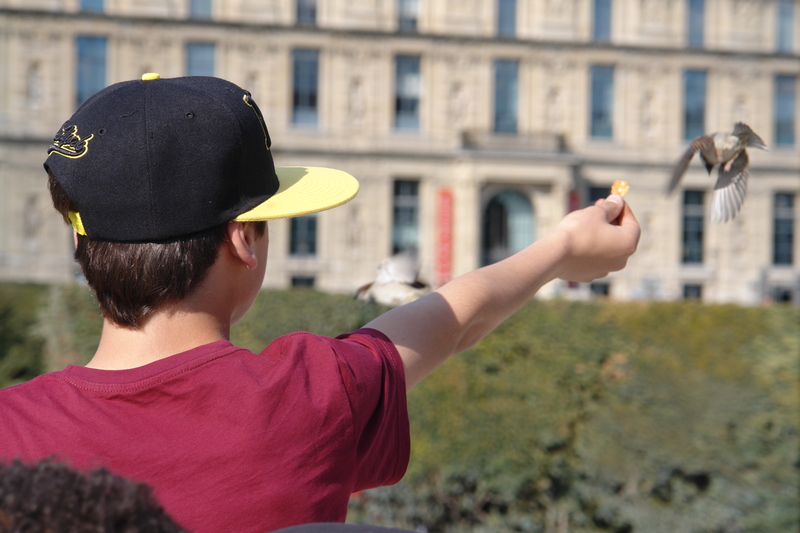 I mean come on, you can’t come to France without eating cheese and pâté, why it’s….uncivilized! I made a mental note of the locations so I could stop on the way home. Finally I came upon a metro station, checked the maps and decided today was going to be another cemetery day. We hadn’t really explored the whole of our neighborhood so, being the cemetery freak I am, I thought Montparnasse Cemetery it is. 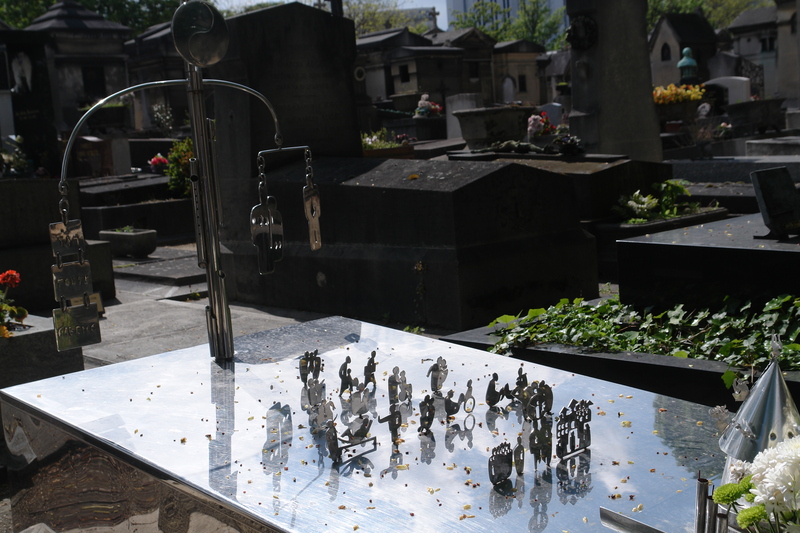 Pere Lechaise and Montparnasse are very different. Pere Lechaise is a riot of chaos, wild roots and decaying stones. It oozes and drips with history as it rushes up the hill, while leaving parts of itself down below. Montparnasse on the other hand is more along the lines of orderly modernity with a bit history mixed in. It’s flat with everything more or less in it’s place, a smattering of old and new neatly placed together. 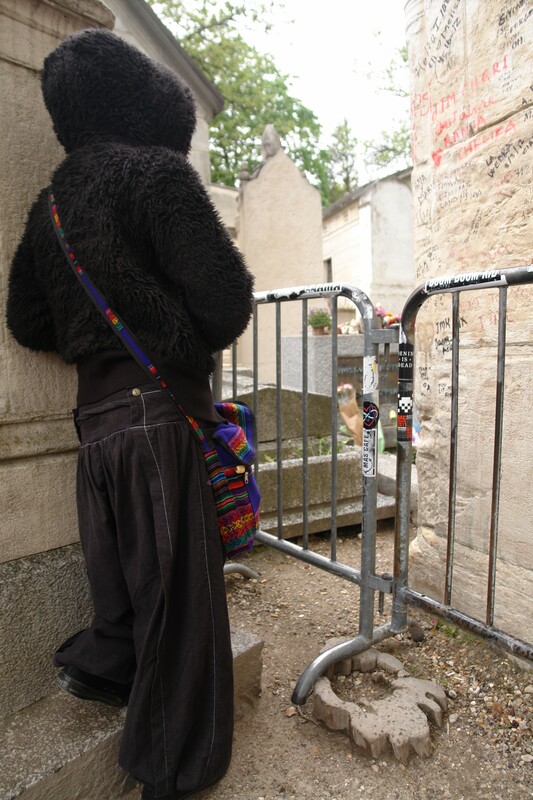 Now this doesn’t mean it’s easier to find who you’re looking for in Montparnasse, I spent the better part of 2 hours looking for Man Ray’s grave, I must have walked around or near it 20 times! Not until they began to ring the bell for people to leave did I find it. And to tell you the truth, I expected it to be more…”artsy” than it was, I was a little disappointed. There were other artists and non-artists, there that I found a lot more interesting, even vivacious and carefree, if you will. My mom loves gizzards and through her, I learned to love them too. Imagine my surprise when I discovered a restaurant today that served an incredible green salad with gizzards and smoked duck, it was fabulous, I thought I had died and gone to heaven. I’ve never had gizzards like that, they were tender and succulent, melt in your mouth and with the added delight of duck, oh my! If only I can figure out how they cooked them. That was only the beginning of my food day! On the way home, I picked up a duck pâté, 4 different cheeses (a cow, a sheep, a goat and a blue), pots de crème (a coffee and a chocolate) and french bread. 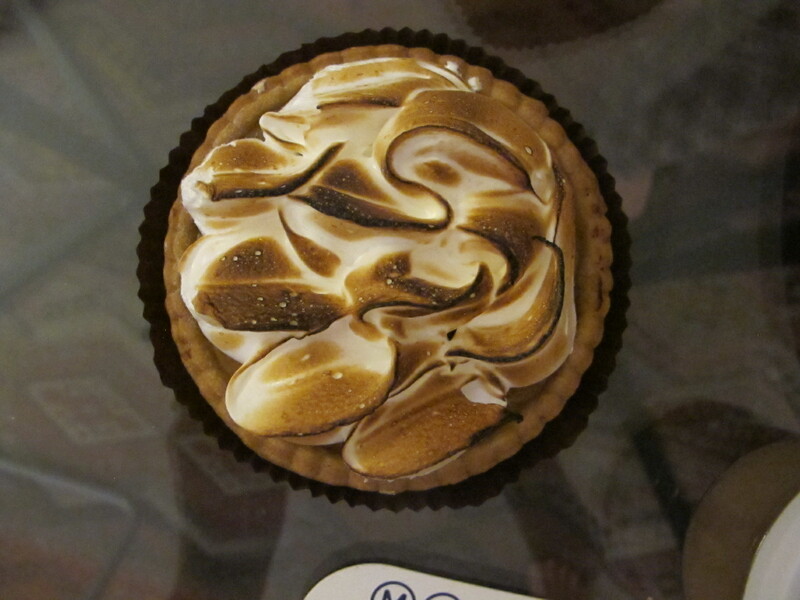 For dessert, we have lemon meringue tart and some bit of chocolate deliciousness. Yes, I’m going to need to diet when I get home. And I have to say right here and now, when I walked into the cheese shop, the aroma was overwhelmingly delicious, I hadn’t smelled those smells since I lived in New York. Wow, the choices were almost too much to bear! So, I want to leave you with a little nugget. There were little signs in Montparnasse people left on some of the graves, they said regret. It kind of nailed home to me, we sometimes have regrets when loved ones die. And I realized, I want to die with as few of these as possible. Yesterday morning we awoke to beautiful, glorious sun. 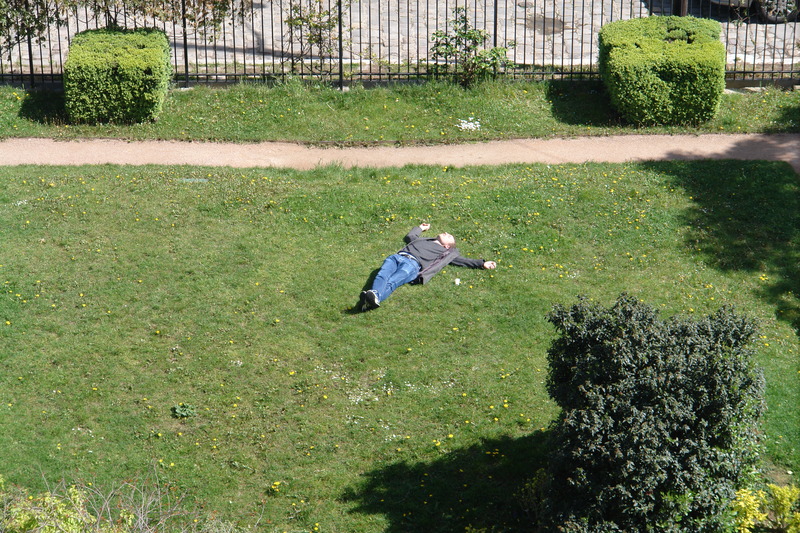 The park across the street was filled with sun hungry Parisians most of the morning, even a guy laying in the grass, soaking up the rays. Seemed like people were relieved to be done with the rain for a bit. I strolled down d’Alesia to run errands and people watched the whole way. I enjoyed myself immensely. Later in the day, we took the subway to Pere Lechaise, one of the coolest cemeteries I have ever been to. The reality is that Pere Lechaise is the reason I like to visit them in the first place. I am fascinated with the way in which people wish to be remembered. And in Pere Lechaise, remembrance truly comes to life. 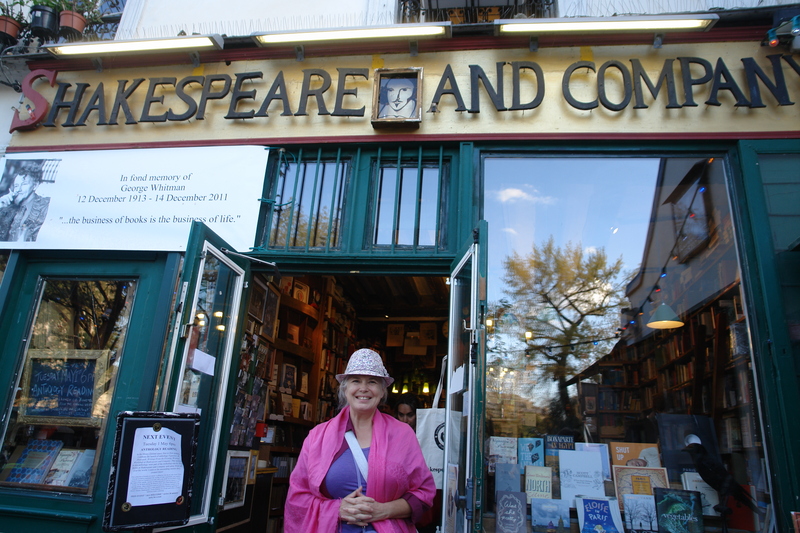 Buried there is Jim Morrison, Oscar Wilde, Maria Callas, Chopin just to name a few and many others I don’t know. The graves here are full of creativity and meaning. I urge you to check their website for a wonderful little tour, click on the little crosses and see who you can find, double click and see their graves. We caught a little rain as we were touring the cemetery but, it wasn’t a big deal, it only lasted 20 minutes and we had our trusty umbrellas. Somehow, I thought it was fitting the rain began as we were looking for Jim Morrison’s grave. I came here 20 years ago and at the time, you could sit around and pay your respects. However, the bust that used to sit on his grave has been stolen twice and people have been writing on the graves nearby. As a result, a barrier has been erected to keep everyone at a respectful distance. And at this point, even the nearby tree is being decorated with chewing gum! Personally, I think the tree is pretty cool, sort of a mass art project befitting a troubled artist. After walking through, what I know was an extremely small part of the cemetery, it was time to go. The tenders were ringing the bell, letting everyone know it was time to leave. The cemetery, by the way, closes at 6pm. On our way to the subway, we saw a really cool metal sculpture…four women painted green holding a cover over their heads. Coming from the cover was pure, stream fed water. We were encouraged to fill our empty water bottles. The water itself was smooth and delicious, quite tasty! 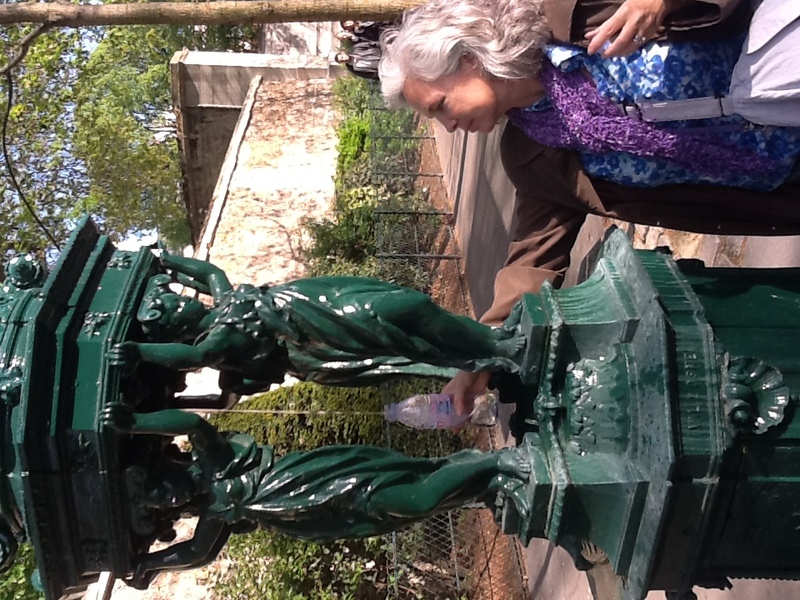 We were later told these fountains are in various locations around the city and if we see one, fill up. 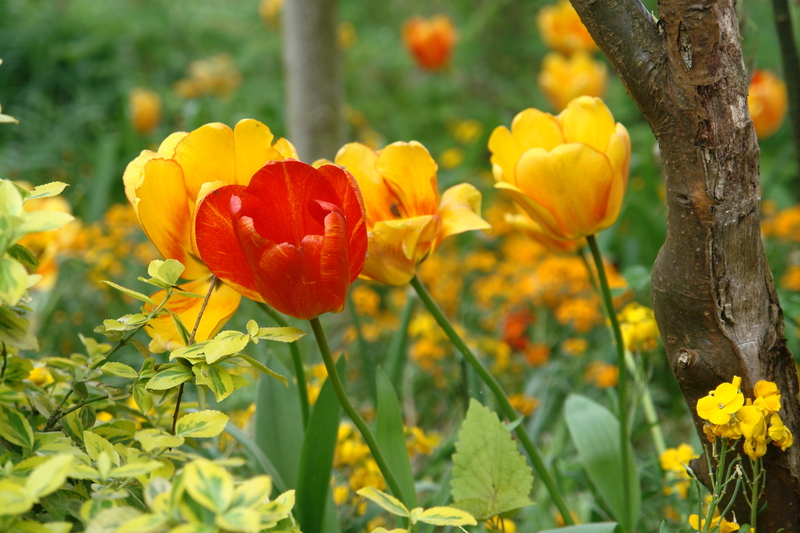 Today being May day or labor day in France, many places will be closed. As my friend Carol said, “any place that can be closed, will be closed.” So we plan on visiting places that we think will most likely be open and visit the oldest part of the city. 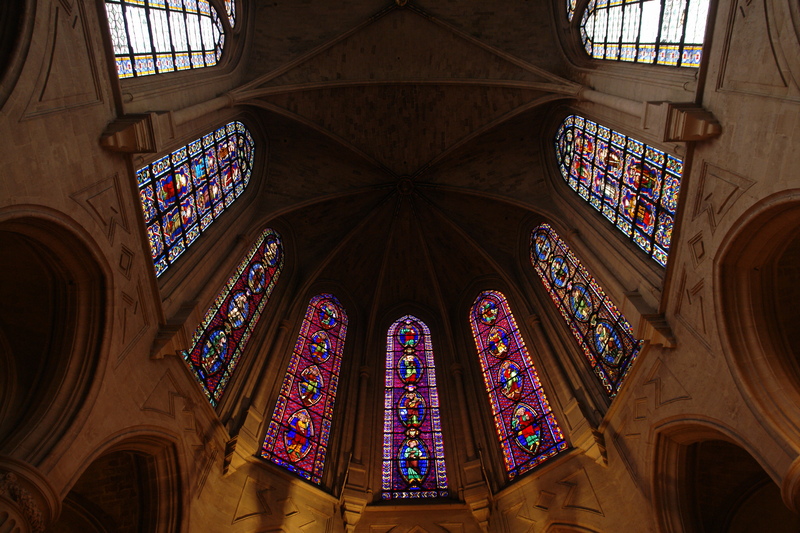 We’re thinking maybe Place Vosges, Sacre Cour or Notre Dame. Not quite sure yet as the day is still young.